The billing sold me first. 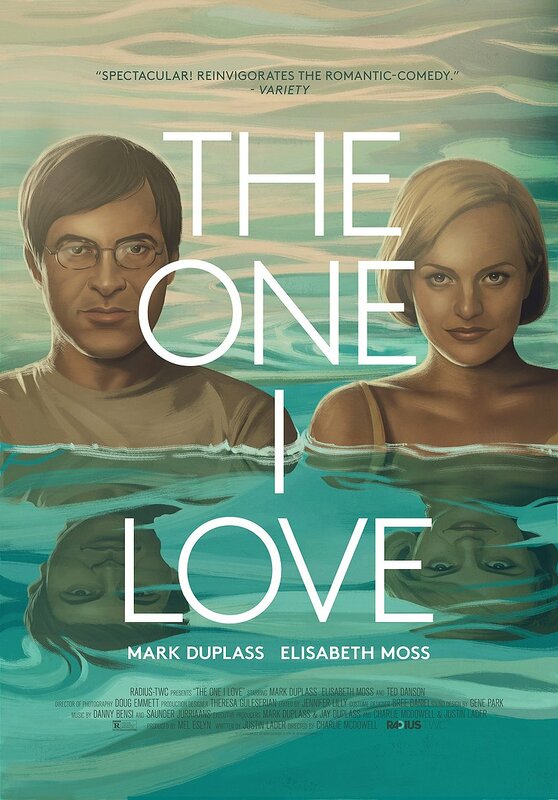 Mark Duplass and Elisabeth Moss. And then I read it was really only those two. Ted Danson is in there. For, what, a minute? Two? So we have two favorites. 90 minutes. With just them. And what a ride it was. It’s not just them two, it’s them two times two. That’s the trick. The trailer won’t tell you that and (SPOILERS) that’s what the movie hinges on. Ethan (Duplass) and Sophie (Moss) meet each other’s nearly-Platonic form in a guest house that plays as an alternate world (and as the movie tongue-in-cheeks itself “some weird version of Who’s Afraid of Virginia Woolf?”). There’s a lot of compelling reasons to see this movie. It’s unique. It’s well acted. It’s got lessons on love, relationships, and, I think, most of all, communication. That’s what really struck me here. Both characters knew something strange was happening, and there’s some base level communication about what’s happening there. But after that? Nothing. The Ethan and Sophie that are on rocky terms do almost nothing to describe to each other how the other acted in the guest house. Sophie has a chance and, in what becomes a terse moment for any onlooker, kind of lets it go. My guess is that her character doesn’t think she owes Ethan anything (and for good reason). Communication is so disruptive in its absence here. Both characters choose to stay silent (Sophie more than Ethan) and turn the widening gyre of their reality into what’s happening in the guest house. Without communication, and with this distance expanding, Ethan panics and loses his cool. And, yet, still, NO communication. He can’t even explain to Sophie why he’s upset. He can’t bring himself to that vulnerable of a place (which is necessary). It’s not in his character, and a wall of history stands between that. Not all couples are built to last, one supposes. But there was something, some golden bowl you saw once. What was that? And what if that came back? The movie asks these questions and more.